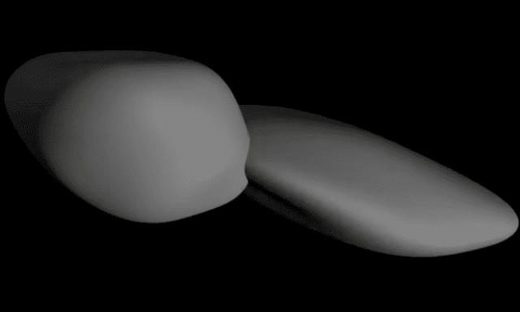 NASA has just gotten another view of Ultima Thule, the most distant object ever visited, and it’s surprisingly unlike what they’d previously expected it would appear – and like nothing they’ve seen before. The space agency got a brief, final glance at the mysterious object as their New Horizons spacecraft sped away from it at 31,000 miles per hour (50,000 kmh) during its groundbreaking flyby on January 1. The sequence of images was taken nearly 10 minutes after the spacecraft’s closest point of approach with the distant world (four billion miles away from our planet), and are just the latest in a trove of images New Horizons will send back to Earth. However these latest images have given a different perspective and show the larger segment, “Ultima”, is actually flat and resembles a giant pancake, while the smaller portion “Thule” is shaped like a “dented walnut”, said NASA.